For the month of October we are offering brand new clients 25% off our regular fees when you book an appointment with one of our training therapists using our promotional code found on the poster. 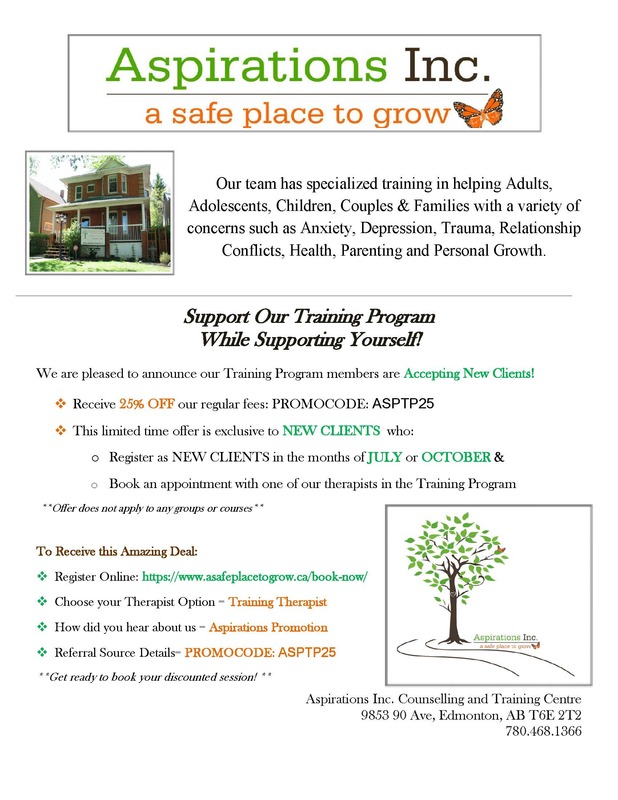 Our training therapists are specialized in a variety of concerns and are interested in helping adults, adolescents, children, couples and families! BOOK A SESSION TODAY and one of our admins will contact you shortly.